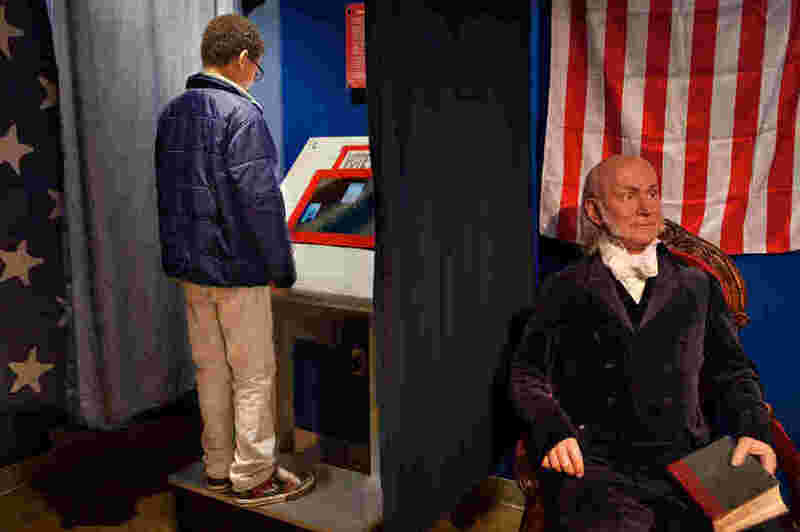 Noah Hope, 10, votes for the next president of the United States during the children's mock presidential election at Madame Tussaud Wax Museum in Washington D.C., as the wax figure of John Quincy Adams looks on. Election Day is tomorrow, and it's easy to forget about those who don't have a vote - children. But it can be a fun experience if parents take the time to include the kids, and maybe bribe them with a little sugar. This weekend, the Madame Tussaud Wax Museum in Washington D.C, did just that. Kids got to make patriotic sugar cookies, personally meet all the American presidents' wax figures and vote for the next president of the United States. 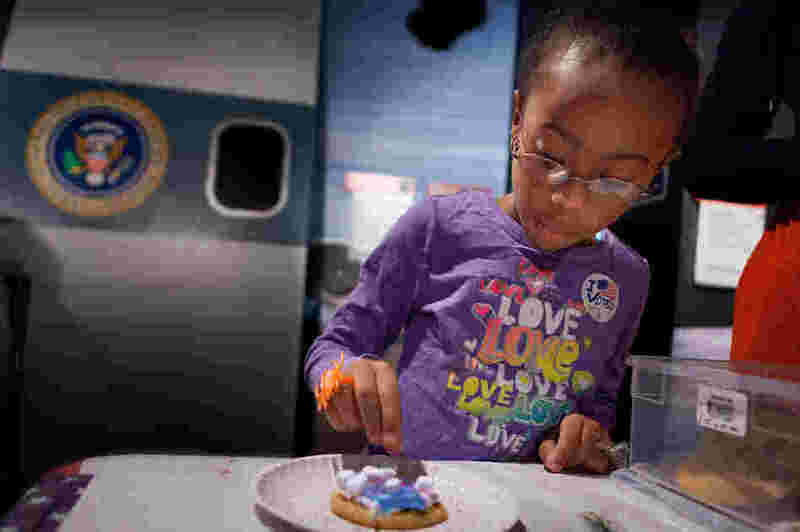 Olyvia Berry, 7, decorates a sugar cookie at Madame Tussauds Wax Museum. Encouraging kids to vote through age appropriate activities is a fun way to share Election Day. Doreen Hope, mother of Noah Hope, 10, who voted on Saturday, said, "We want them to make sure they understand the importance of getting up out of bed and voting and making sure that your vote counts." In addition to electing their prospective president on authentic-looking voting machines, children also got to design their very own sugar cookies using red, white and blue frosting smothered with sprinkles, chocolate chips and marshmallows. Dr. Stacey Coyle PsyD., a psychologist with Life Long Wellness, said mock elections offer children great opportunities to learn about the political process, and gain a lasting sense of importance regarding their role in the election process. 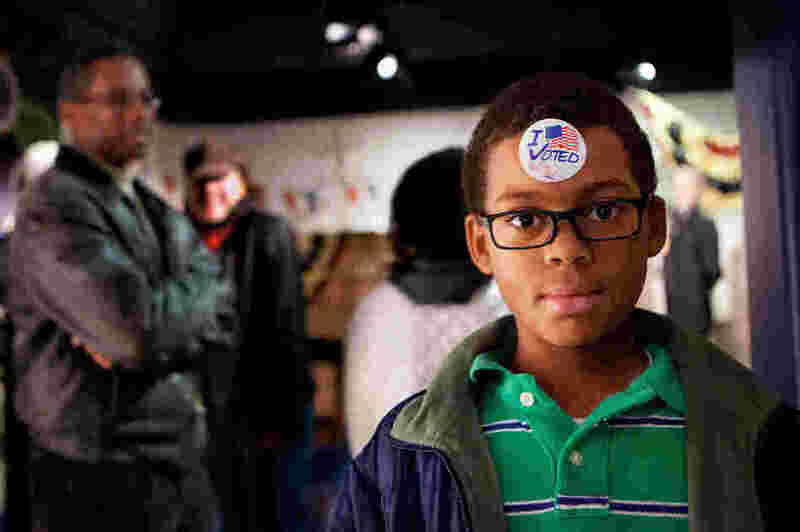 Noah Hope, 10, shows off his I Voted sticker during the children's mock Election Day at Madame Tussaud Wax Museum in Washington D.C. So who did the kids at the museum select as the next president of the United States? Look at the image below and find out. We'll see if they were right tomorrow night.